“I express my deepest concerns after the destruction of the Monastery of St Elijah. It was the oldest Christian monastery in Iraq and an invaluable testimony to the rich cultural and religious diversity of the country. For 1,400 years the monastery stood as a place of worship and meditation, accepted by people of all faiths. Its destruction is yet another violent attack against the Iraqi people which confirms the crimes against humanity suffered by the Christian population, and the extent of the cultural cleansing underway in Iraq,” said UNESCO Director General Irina Bokova. “Christianity was born in the Middle East, and is an integral part of the history of Iraq and the Iraqi People. Such deliberate destruction is a war crime and it must not stay unpunished. It also reminds us how terrified by history the extremists are, because understanding the past undermines the pretexts they use to justify these crimes and exposes them as expressions of pure hatred and ignorance. Despite their relentless crimes, extremists will never be able to erase history. The history of this region is known all over the world, and reminds us all that there is no ‘pure culture’. UNESCO remains committed to protecting the heritage of Iraq and leading the fight against the illicit traffic of cultural artefacts, which directly contributes to the financing of terrorism,” she added. 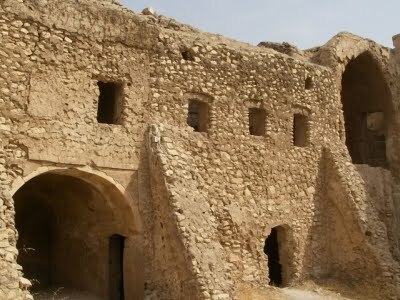 According to several sources and media reports, the monastery of Deir Mar Elia was destroyed in August 2014 and its destruction was only confirmed recently. The monastery is named for the Assyrian Christian monk — St. Elijah — who built it between 582 and 590 A.C. It was a holy site for Iraqi Christians for centuries, part of the Middle East Chaldean Catholic community, bearing witness to the religious diversity of the region, where people of all faiths have lived together for centuries. Iraq’s Christian population has dropped from 1.3 million in the early 2000s to 300,000 today.